In a recession the British yearn for coffee and cheap hotels. That must be the conclusion to draw from the continued expansion of the Costa Coffee and Premier Inn chains. Owners Whitbread unveiled plans to expand both chains, creating 12,000 new service sector jobs over the next five years. Whitbread announced pre-tax profits of £355.3 million, with significant growth in the coffee and hotel chains. Although the High Street coffee market would seem to be approaching saturation levels, Costa may have profited from some coffee-drinkers choosing to avoid Starbucks after the global chain's creative approach to paying tax was revealed. Whitbreads have plans to increase turnover at Costa to £2 billion by 2018. One of the main areas of expansion will be in China, where Costa will attempt to wean the world's largest population off their tea habit. The growth of staycations in the UK during the recession has also boosted the demand for cheap hotel rooms. Premier Inn, advertised on TV by Lenny Henry, competes with Travelodge at the budget end of the market. 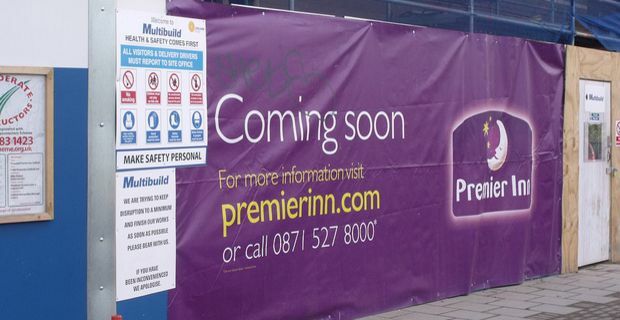 Whitbread wants to expand the chain to offer 75,000 rooms over the next five years. London will be the focus of the expansion plans, with an unceasing demand for cheap rooms in the capital. Premier enjoyed a successful 2012 thanks to the tourist influx for the Olympics and Royal Jubilee. Whitbread want to build on this success. "We have historically punched below our weight in London," finance director Nicholas Cadbury said, "but this has been a good year. We were aided by the benefits from the Olympic Games." Service industry growth was one of the main driving forces dragging the UK economy back from the brink of triple-dip recession. Expansion in this sector might begin to make inroads into the crisis of unemployment among young people. Thinking of staying at a Weymouth travel lodge? Looking for a Premier Inn in Paris? Seafront accommodation in Brighton at this Premier Inn!